I met a friend I hadn’t seen for four years. As my friend is from Tokyo, I took my friend to Namba. We had some okonomiyaki at “mizuno”. 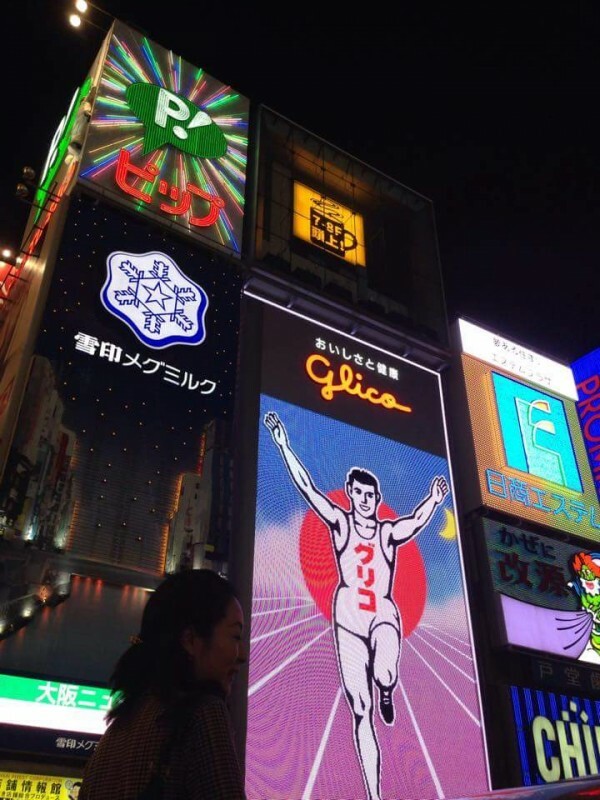 After, we went to the Ebisubashi bridge which is famous for the Glico neon sign of Dotonbori. After walking around the Dotonborigawa river we had a cup of coffee and sweets at a coffee shop named “American”. We talked a lot about what has happened over the last four years. I don’t really feel much distance over the last four years. I felt like we met last month – didn’t we? I like my friend’s spirit, sense of humor and gentle voice. The time to say goodbye to my friend was approaching. I just said “Bye” even though we don’t know when we will meet each other again. The reason why I just said “Bye” is that I felt that we will meet again someday. Do you have someone special? we didn’t go “Udon-Imai”,though. But,”U-shii-shiiii-! !” is still Keyword to next week.